NOTE: The American Joint Committee on Cancer (AJCC) classifications of breast tumors has recently been updated to include the grade of the tumor. The changes have been put in place since January 2018. You can find a brief summary of the main changes to the staging system by clicking HERE. However, we will be updating all our articles in full to include all the latest changes on breast cancer staging. Once infiltrating ductal carcinoma is confirmed, it is given a grade assessment based quantitative measures, and also the size and shape of nuclei, similar to the grading for DCIS. This grading system is common to all invasive breast cancers, though there are subtle differences in all the subtypes of breast carcinoma, discussed on another page (These would include lobular, tubulobular, tubular, papillary, mucinous, cribriform, medullary, adenoid cystic, sarcomatoid, squamous, and adenosquamous). This page still has great research information, but somewhat a little out-dated. However, I have decided to create a newer version of this page with more up-to-date material about Grading of Infiltrating Ductal Carcinoma. As a grade of low, intermediate or high is obtained through a composite sum by assigning a ‘score‘ based on the nuclear assessment, a mitotic index assessment, and a tubular assessment. The “nuclear” assessment is based on the nuclear size within the invasive cells. They are described from small to medium to large in size, as well as by their uniformity in size and shape. The “tubular” assessment refers to an approximate, quantitative account of the amount of cell groupings which remain in their normal ‘tubular‘ shape. The smaller the percentage of tubular structures in comparison to other shapes, the higher the score. Other structures to appear may include solid trabecula, vacuolated single cells, alveolar nests, and solid sheets of cells. The “mitotic” index refers to evident patterns of cell division. ‘Mitosis‘ is a process by which a cell (specifically a eukaryotic cell) separates into two genetically identical ‘daughter‘ cells. (Actually the process is in two distinct phases: mitosis is the initial phase in which the chromosomes in the nucleus separate and become distinct nuclei, followed by ‘cytokinesis‘, in which the new nuclei break off into their own cells). So, the mitotic index is assessment of the abundance of these pairs of daughter cells, measured in the count per square millimeter. Mitoses are only counted in the invasive area of the lesion (the area, ‘just about to’ or ‘just breaking through’ the ductal lining). C. Mitotic Index Assessment 5-10 mitoses = 1 11-19 = 2 >20 = 3. Note that overall grades are also described as ‘highly differentiated‘, moderately differentiated, and poorly differentiated. Sometimes these terms my be confusing. A cell that has enough functioning normal DNA to form a specific type of tissue, and behave like that tissue, is ‘differentiated‘. A cell that has so many mutations, that it forms hideously distorted tissues, is poorly-differentiated. A higher cancer grading corresponds to more poorly-differentiated cells and cellular structures. In the lesion below we can see the evidence of oddly shaped neoplastic (new-growth) tubules, but greater than approximately 75% of all tubules are normal in shape. A likely diagnosis would be grade I infiltrating ductal carcinoma. Determining varations in the size and shape of malignant nuclei would require greater magnification. In the next image the malignant carcinoma has progressed to the extent that normal-appearing neoplastic tubules account for less than 10% of the lesion. A likely diagnostic tubular assessment would be ‘grade III‘, which adds 3 points to the cumulative grading-assessment index. In the lesion below most of the tubules are ‘abortive‘, which is an unusual formation. Neoplastic tubules usually begin as a little ‘bud‘, that emerges from another tubule. In certain breast cancers these growing buds don’t progress to a tubule but stop and remain in the little bud shape. If these ‘aborted tubules‘ are abundant it is termed an ‘abortive tubule‘ formation. Lymphocytes are also present in this image. Essentially uniform in size and shape, the malignant nuclei in the image below would suggest a grade I nuclear assessment, adding 1 point to the cumulative total. Microcalcification does not figure in a nuclear grade assessment of infiltrating ductal carcinoma, being more of a screening indicator rather than a staging parameter. In the lesion below the malignant nuclei show ‘moderate‘ varation of size and shape. This would likely correspond to a nuclear grade assessment of grade II, adding 2 points to the cumulative total. Size and shape of nuclei in the image below are highly variable, suggesting a grade III nuclear assessment. This would add 3 points to the cumulative score for arriving at an overall grade of infiltrating ductal breast cancer. The mitotic assessment is a detailed and time-consuming process. At least 10 different power (magnification) fields must be used to gain an accurate interpretation, as these cell-pairs are often difficult to distinguish. In the lesion shown below there are in fact 11 mitosis, which corresonds to the intermediate miototic ‘Grade II‘, thus adding 2 points to the overall assessment grade score. Recent studies have confirmed a high correlation of lymphatic involvement with tumor size and histological grade. New research is focusing on genetic factors such as the presence of the c-erbB-2 protein in predicting breast tumor aggressiveness and nodal metastasis, although results are inconclusive at present. Women with an overexpression of the c-erbB-2 protein and nodal positivity have a worse prognosis, but there is no clear relation for women without lymphatic involvement. It is an emergent area of research and genetic factors will likely influence histologic risk grading for breast cancer in the near future. For further reading and Q&A, I recommend you visit this page on more about Infilrating Ductal Carcinomas. Agrup M, Stal O, Olsen K, and Wingren S. C-erbB-2 Overexpression and Survival in Early Onset Breast Cancer. Breast Cancer Res Treat. 2000;63:9-23. Carter CL, Allen C, Henson DE. Relation of tumor size, lymph node status, and survival in 24,740 breast cancer cases. Cancer.(Jan. 1989) 63(1):181-7. Elston CW, Ellis IO. Pathological prognostic factors in breast cancer. I. The value of histological grade in breast cancer: experience from a large study with long-term follow-up. Histopathology. (Nov.1991) (5):403-10. Page DL. Prognosis and breast cancer. Recognition of lethal and favorable prognostic types. Am J Surg Pathol. 1991 (April 1991) (4):334-49. 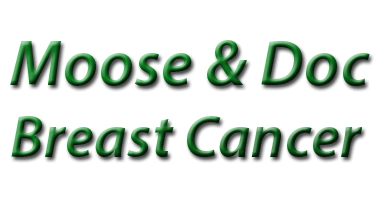 Tawfik, O., Kimler, BF., Davis, M., Stasik, C., Lai, SM., Mayo, MS., Fan, F., Donahue, JK, Damjanov, I., Thomas, P. Grading invasive ductal carcinoma of the breast: advantages of using automated proliferation index instead of mitotic count. Virchows Archiv Volume 450, Number 6, 627-636. Arpino G, Bardou VJ, Clark GM, Elledge RM.Infiltrating lobular carcinoma of the breast: tumor characteristics and clinical outcome.Breast Cancer Res.(Feb. 2004);6(3):R149-56. du Toit RS, Locker AP, Ellis IO, Elston CW, Nicholson RI, Blamey RW: Invasive lobular carcinomas of the breast – the prognosis of histopathological subtypes. Br J Cancer (1989) , 60:605-609. DiCostanzo D, Rosen PP, Gareen I, Franklin S, Lesser M: Prognosis in infiltrating lobular carcinoma. An analysis of ‘classical’ and variant tumors. Am J Surg Pathol (1990), 14:12-23. Back to breast cancer staging list or to the brand new homepage.